This is genuine Swarovski Crystal, which is manufactured in Austria. The size is SS 10 (~3mm) and come with packing of 120 pcs per rotary container. There are 6 colors & 20 pieces per color. This is genuine Swarovski Crystal, which is manufactured in Austria. 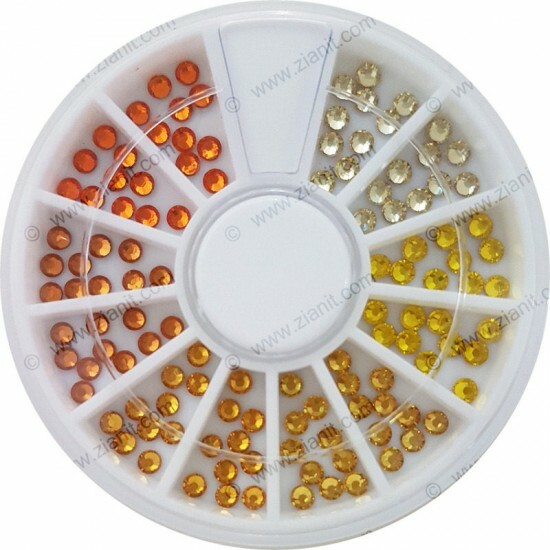 The size is SS 10 (~3mm) and come with packing of 120 pcs per rotary contain.. This is genuine Swarovski Crystal, which is manufactured in Austria. The size is SS 16 (~4mm) and come with packing of 120 pcs per rotary contain..